With the results of the midterm election giving control of both the House and Senate to the Republican Party, leaders of two prominent social conservative political action groups said in interviews with The Christian Post that those candidates who fully embraced their conservative stances on social issues were fully rewarded by the voters. Tony Perkins, president of the social conservative advocacy group Family Research Council, and Marjorie Dannenfelser, president of the Susan B. Anthony List, agreed that Republican candidates who either supported abortion or hid their views on abortion and other social issues did not fare as well as those who fully supported the social conservative principles that many think hinders the GOP in the modern political climate. "I think what you saw here are candidates who embrace the values, the values voters embrace them," Perkins said. "I think this was a clear referendum on Barack Obama and his liberal policies, and I think that is going to come with a mandate to the Republicans that they address these issues and address them quickly." 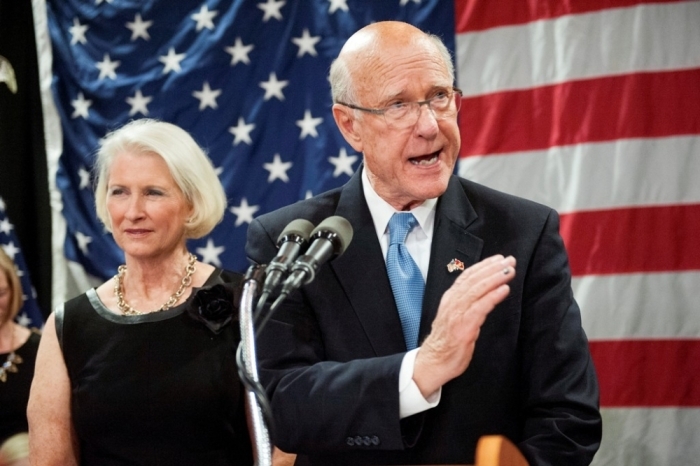 Perkins noted Republican Kansas Senator Pat Roberts as a prime example of what touting conservative social principles did in the grand scheme of one Senate election. Although polling leading up to the elections showed Roberts was in serious danger of losing his seat to independent candidate Greg Orman, Perkins said Roberts' late push in the election cycle, where he advocated heavily for pro-life and other conservative social stances, helped him to win reelection even though many thought his career might be coming to an end. "The reason why I say Roberts, in particular, was because he was down significantly and almost left for political dead and he did not run from those values issues, rather he embraced them," Perkins said. 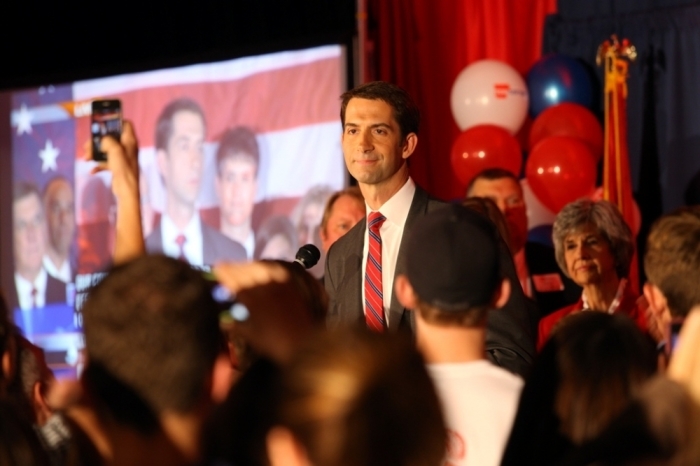 Tom Cotton, who won election as Arkansas Senator, and Joni Ernst, who won the vacant Iowa Senate seat, both campaigned heavily on pro-life and traditional marriage platform and both won their elections by decisive margin. Ernst replaces retiring Democratic Senator Tom Harkin, while Cotton displaces Democratic incumbent Mark Pryor. 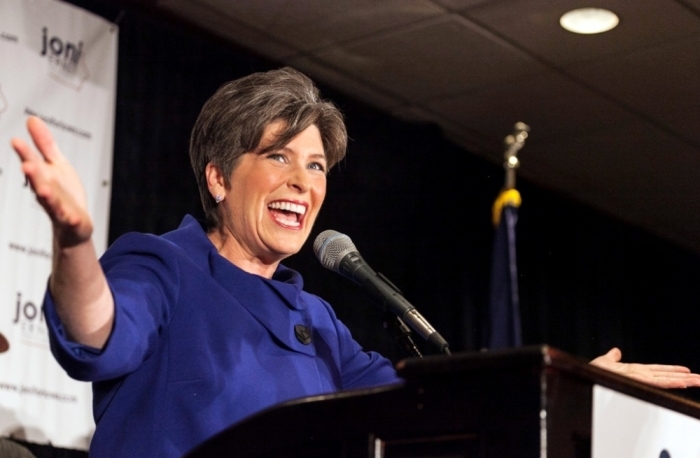 Dannenfelser claims that Ernst's election represents the perfect symbolism of a new GOP-controlled Senate that will attempt to pass pro-life legislation. "Ernst is the most significant among the Susan B. Anthony list's efforts, because this is an unapologetic pro-life woman who will be on the floor for the U.S. Senate advocating for pro-life legislation," Dannenfelser said. "And that is an enormous victory for women and the Susan B. Anthony List. Everything that we have done for this election is for gaining the Senate and having a woman be a great spokeswoman in the Senate." Both Dannenfelser and Perkins agree that Scott Brown, a Republican who lost to Democratic New Hampshire Senator Jeanne Shaheen, only hurt himself in this election by not staying true to the Republican social principles. Brown never made clear his stances on abortion or gay marriage during his campaign, although it's alleged that he is pro-abortion and pro-gay marriage. "I think the main problem with Scott Brown is that he never clarified what he believed at all. He could have carved out a consensus play, which would say, 'I'm not for all pro-life measures but I am definitely for a late-term restriction,'" Dannenfelser said. "He could have done something like that. It would have been smart to do something like that, and he didn't do that. He did not gain the advantage that all of our other candidates did and that was a huge mistake on his part." In one of the most expensive Senate campaigns in history, North Carolina's incumbent Senator Kay Hagan was ousted by Republican challenger Thom Tillis. Dannenfelser sees Tillis' victory, along with Mark Udall's loss in Colorado, as a clear indication that the Democratic Party's "War on Women" campaign attack against the Republican Party is now officially dead. "I believe that the abortion-centered 'War on Women' message has just died. It is dead in the water," Dannenfelser said. "Kay Hagan was an Emily's List candidate. Emily's list advice was 'do not talk about abortion.' She did not. She only reluctantly admitted that she was against the pain-capable bill. I think it is one more piece of evidence that the war on women manipulation is dead now." With a conservative majority in the Senate, Dannenfelser said that Senate Majority Leader Mitch McConnell had promised that he would advance a vote on the Pain-Capable Unborn Child Protection Act, which would prohibit abortions after five months of pregnancy. The bill passed the House in 2013 but has been stalled in the Senate. "When that occurs we will have a majority pro-life Senate that will vote for that bill and that means that we will see a potential veto by this president, and the Senate will be very important in defining the next presidential race," Dannenfelser said. Perkins added that the Republican majority needs to "fulfill some of these promises" and work quickly to repeal some of the liberal policies established by the Obama administration. "What we have been hearing up to this point is that Harry Reid is blocking this reform. That won't be a legitimate excuse anymore, as the Republicans control both the House and the Senate," Perkins said. "They will have to fulfill some of these promises that have been made to turn this country around and undo what this president has done." Where Are Social Conservative Groups in the 2014 Election?